Nex Flow™ Frigid-X™ Panel Coolers are normally mounted on the top of electrical and electronic cabinets to allow for the natural movement of cold air down into the panel to displace hot air which moves up and out through the venting system built into the Panel Cooler. However, in some cases there may not be enough room at the top of the cabinet to mount the Panel Cooler. If mounting cannot be on the top of the control panel an optional Side Mount Kit for Cabinet Enclosures is available. The Frigid-X™ Panel Cooler must be mounted vertical either at the top or at the side of the enclosure. 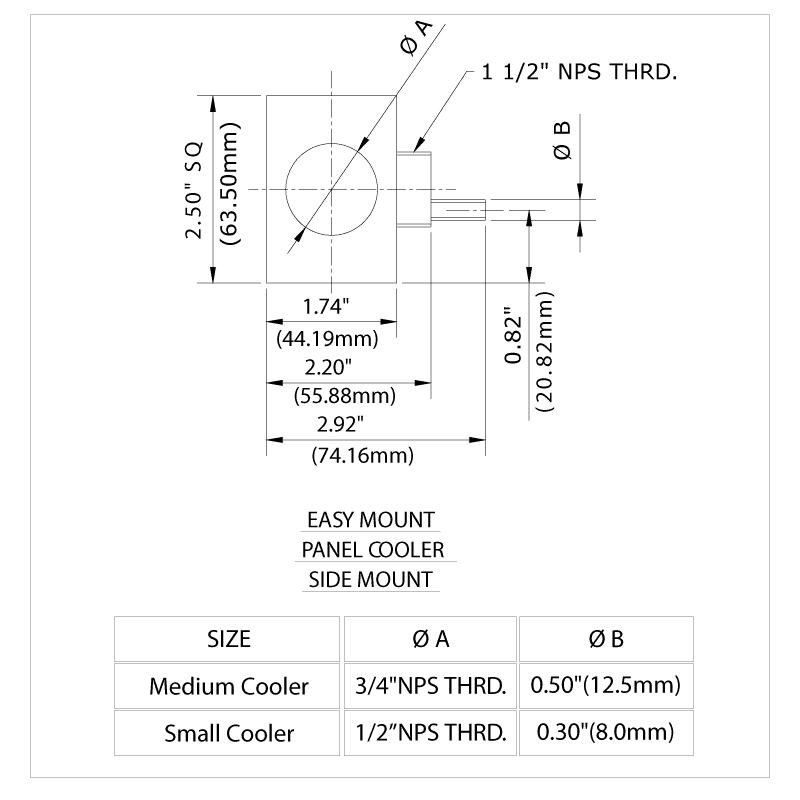 Nex Flow™ Side Mount Kit provides a convenient “plug and play” method to mount a Panel Cooler to the side of an electrical enclosure for applications where top mounting is not possible. The Cabinet Panel Cooler protects the sensitive electronics from heat, dirt, and moisture while maintaining the rating of the enclosure. The Side Mount is attached on the side of a cabinet but as near the top as possible so that the Panel Cooler can fit into the limited space they have. It is attached through a standard electrical knockout and secured in place with a lock ring. The Panel Cooler is then threaded into the outside top of the side mount which has a brass tube at the exit, on the inside of the control panel that is the same size as the one on the Panel Cooler. 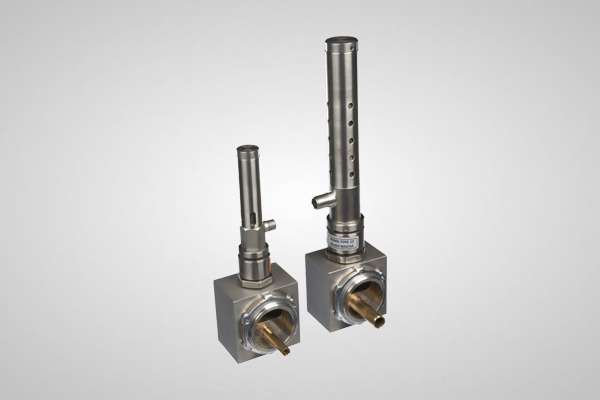 The hose distribution kit, which distributes cold air from the Panel Cooler, is easily connected to the brass tube with the hose clamp supplied, in the same way as if connected to the Panel Cooler normally. Then the hose kit is strung around the inside of the control panel with holes drilled to direct the cold air onto the hot spots as required. The hose distribution kit should be strung along the top of the inside of the panel with some holes to exhaust the cold air to avoid stratification of hot air at the top of the enclosure. Properly installed, the Nex Flow™ Frigid-X™ Panel Cooler with Side Mount can provide years of trouble free, and essentially maintenance free, air conditioning for your electrical and electronic controls.